Brian Pendergraft is a licensed Property Lawyer and Owner of his own Law firm - working with both business and individuals. His practice areas, in order of his experience, are Landlord and Tennant, Probate, Guardianship, Estate Planning, Expungement and Real Estate matters. 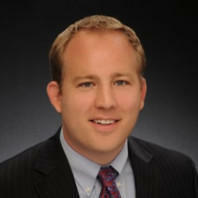 Brian attended the Florida Coastal School of Law, and graduated with his J.D. in 2013. He has also obtained his Bachelor of Science in Philosophy & Religion from the Florida Agricultural and Mechanical University. "Brian was awesome! He explained the law to me in every detail so I understood that being a tenant I have a lot of rights! He helped me st..."
Ari M. Mossovitz is an attorney at law who has been serving corporate clients for the past two decades. He has provided his legal assistance in more than 50,000 real estate legal matters. Ari is licensed to practice law in Maryland and received a law degree from the University of Baltimore School of Law. 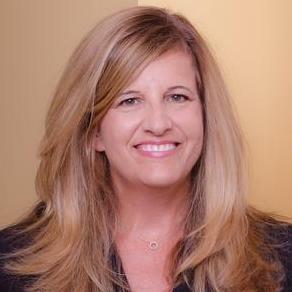 Ari has represented Wells Fargo, SunTrust Bank and many other corporate clients. He founded his own law offices in September 2014. "Ari is nothing but professional in all aspects of the Title business. In first meeting Ari he spoke with confidence about what his compan..."
Gary Raffel is an experienced corporate attorney who has been serving corporate clients for the past three decades. He is licensed to practice law in Maryland and obtained his Juris Doctorate degree in law from the University of Baltimore School of Law. 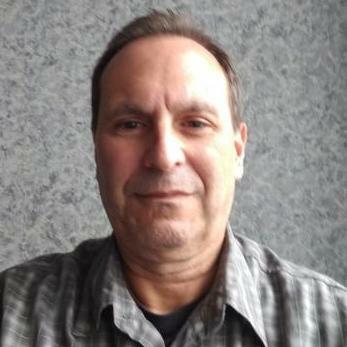 Gary primarily specializes in real estate law. He is also experienced in drafting, reviewing and negotiating commercial contracts. Gary has been serving as the CEO of the Raffel Healthcare Group since October 1988. "Gary - Thanks so much for your help in getting us out of our lease. Without your letter, the landlord would have charged us for 6 more mo..."
"We were selling our property and already had a neighbor who wanted to buy but didn't know where to start. Justin sat down with us and tal..."
Darnell Ingram is a corporate attorney who has been practicing law for the past 11 years. 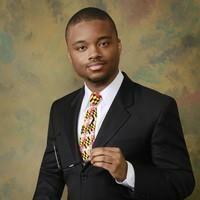 Darnell is licensed to practice law in multiple states, including Florida and the District of Columbia. He obtained his J.D. Degree in law after his graduation from the Stetson University College of Law. 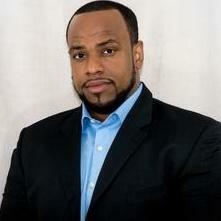 Darnell primarily specializes in drafting, negotiating and reviewing commercial contracts. 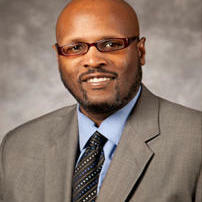 In September 2009, Darnell founded his own legal firm, where he now acts as the principal attorney. When your business is just starting out, contacting a lawyer is a scary prospect. Lawyers have the reputation of being expensive and intimidating, but hiring a startup attorney in Baltimore, Maryland, doesn't have to break the bank or stress you out. If you're like many budding entrepreneurs, you may have chosen to start your business without legal advice, but this can be a costly mistake. Before going forward with your business plans, consult a lawyer to review your startup's structure and other business elements. Navigate complicated business law. There is an array of legal documents you will need to submit when starting your business. Don't try to go it alone as omissions and mistakes can set you back financially and disrupt your startup's time frame. Trying to understand and fill out complicated legal forms takes you away from your business operations, which is a big reason why handing these tasks over to an attorney proves invaluable. Save you money. Not having a lawyer can cost you more money than hiring a qualified startup attorney. The right lawyer can also help you get the venture capital or seed money you need to move ahead with your business. Negotiate lease contracts. Finding the perfect office or retail space is crucial to your company's success. Unfortunately, these leases are designed to benefit the landlord rather than the tenant. When a startup attorney is involved in negotiating the lease contracts, you can be confident you're getting the best deal possible. Draft employment agreements. Employment agreements are contracts used to establish a legal relationship between you and an employee. Even if you plan on using contract workers instead of a full- or part-time staff, your lawyer will draw up the right employment agreements to lay down your expectations and protect your business from claims. Register for a patent or trademark. When you need to patent a product or service, or even just register your startup's name or logo, your lawyer will go over the required documents and submit them to the patent office correctly. Top startup lawyers must be members of the Maryland State Bar Association and/or The Baltimore County Bar Association to practice in the area. Membership in the American Bar Association is also required. You can browse these association websites for lawyer recommendations or even pay a referral service to match you with the perfect attorney. Alternatively, you can find affordable startup lawyers on UpCounsel. Get free attorney proposals, view biographies, and read reviews from former clients to narrow down your options. Speak with multiple lawyers. Comparing the costs, qualifications, and experience of different attorneys helps ensure you find the one best suited to your legal needs. Decide whether you need a small firm, a big firm, or solo practitioner. Although large law firms have more overhead and are more expensive, they're more capable of handling every detail than small firms. In fact, few small firms are capable of negotiating your lease, filling out your documents, applying for trademarks, and attending your corporate meetings. For a solo practitioner, it's even more impossible. When interviewing potential lawyers, ask how involved he or she plans to be. Ask about billing options. Although you can negotiate your lawyer's fees, there are still limits, and some attorneys are more rigid than others when it comes to billing. Find out whether your attorney bills hourly or with a flat fee. Does he or she work on retainer? What other fees can you expect to accrue? Ask around for referrals. Sometimes, your trusted friends, family, and colleagues are the best sources for recommendations. It's a smart idea to find out if anyone you know has worked with a lawyer and - if so - if he or she has any experience in startup or small business law. The best startup attorneys will understand the complicated details of your business and legal requirements, boosting your company's chances of success. Ultimately, go with your instincts and hire the lawyer who is easy to communicate with and seems devoted to your startup's legal needs. Which business structure should I choose? Your lawyer will help you decide whether a sole proprietorship, a limited liability company, a limited liability partnership, or a corporation is best. What should I know about choosing my business name? Startup lawyers are experienced in the legal issues surrounding business names. Consult your attorney before ordering business cards and signage. What should be in my startup's bylaws and operating agreements? Bylaws and operating agreements are essential for building your business's foundation. Your lawyer can assist you with preparing the necessary documents based on your business needs. How do I minimize my risks? Starting a business is risky, but your attorney can reduce your risks of fines, claims, and litigations. Why use UpCounsel to hire a Baltimore Startup Attorney? On UpCounsel, you can find and connect with top-rated Baltimore startup attorneys & lawyers that provide a range of startup law services for startups and entrepreneurs that are starting a business. Any of the top-rated Baltimore startup lawyers you connect with will be available to help with a variety of your startup law related legal needs on-demand or on an ongoing basis in the city of Baltimore, MD. From primarily dealing with things like business formation, contracts, leases, equity financing, securities, and intellectual property protection, the Baltimore startup lawyers on UpCounsel can help you with a variety of specialized and general startup law related legal matters. No matter what type of startup law needs you have, you can easily hire an experienced Baltimore startup lawyer on UpCounsel to help you today. Improve Your Legal ROI with Affordable Startup Attorneys that service Baltimore, MD. Want to Connect with Top Baltimore Startup Attorneys & Lawyers? Business licences in Texas are not managed on the state government level, meaning that all business licensing requirements are handled by county and city governments. Additionally, many Texas counties and municipalities do not require some business types to obtain general business licenses or permits. To determine if your new business will require a license or permit, visit your local county or city government office or website, or visit the Texas.gov website for more information. What Is the Economic Espionage Act? The Economic Espionage Act was established by Congress on October 11, 1996, as a comprehensive framework by which law enforcement agencies can prosecute those who steal trade secrets. Why Is the Economic Espionage Act Important? The definition of "trade secret" is broad. Trade secrets are defined as all types of scientific, business, financial, economic, technical, or engineering information. This information can come in various forms, including programs, codes, processes, procedures, techniques, and methods. Both the tangible and intangible are covered under the EEA. As long as an owner has taken the necessary precautions, also known as "reasonable measures," to keep the information a secret, he or she is protected by the EEA. What is Pre-money vs Post-money Valuation? The difference between a Pre-money vs. post-money valuation is that they are the values of a company before and after an investment. They are the two words most commonly used when talking to venture capitalists. Pre-money valuation is the value that is placed on a company before the investment. The number is most often determined after an investor makes an offer. It is one of the most important factors for a venture capitalist when he or she is considering investing. Post-money valuation is the worth of the company after the investment has been made. The investor offer that the makes determines this value. What Is Cumulative Preferred Stock? Cumulative preferred stock is a type of preferred stock that provides a greater guarantee of dividend payments to its holders. The “cumulative” in cumulative preferred stock means that if your company suspends dividend payments, the unpaid dividends (known as dividends in arrears) owed continue to accrue. If you decide to restart dividend payments, you must pay all accrued dividends to cumulative preferred shareholders before making any dividend payments to common shareholders. Non-cumulative preferred shareholders, on the other hand, would only be paid dividends from the time your company restarts its dividend payments, and would have no right to receive payment for dividends in arrears. A reverse stock split is when a company reduces the total number of outstanding shares by a multiple and increase the share price by the same multiple. The company will maintain the same market capitalization (share price x outstanding shares) as before. In effect, you start out with 10 shares of stock worth $2.00 per share and assuming there is a one-for-two reverse split, you will wind up with 5 shares worth $4.00 per share. To make this easier to understand, let's assume for a moment you have two $50 bills. Someone offers you a $100 bill in exchange for them. You now have one bill worth $100 instead of two that equal the same value.